I was very fortunate to be the "mom" to two wonderful Boston Terriers, Magpie and Tooie. 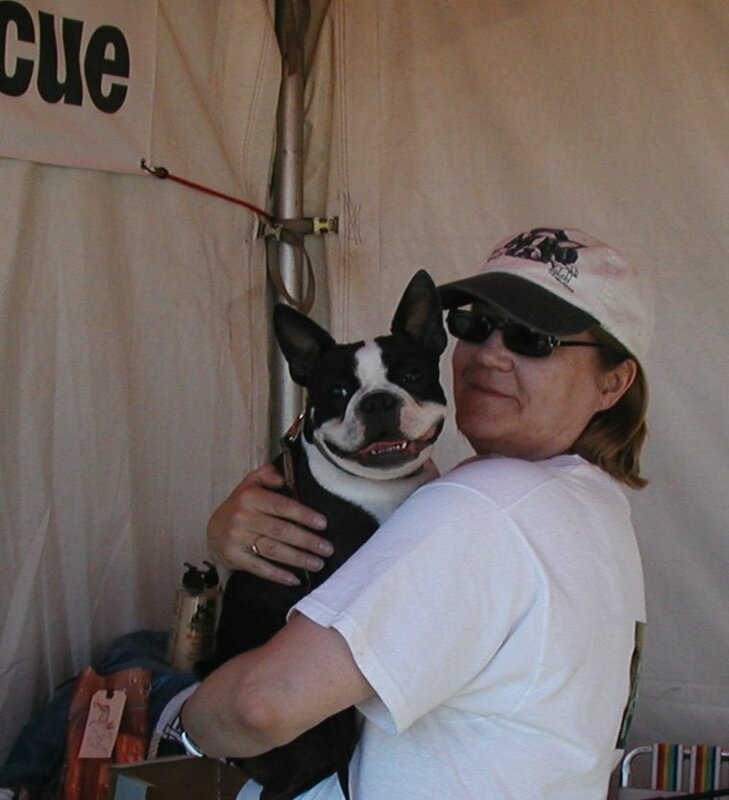 Over the last few years I have become involved in the Boston Terrier Club of Canada Rescue, which is a not-for-profit organization made up entirely of volunteers who are dedicated to the safety and welfare of single breed and mixed breed Boston Terriers. Please check out our website if you are interested in these wonderful animals. We are always looking for donations, volunteers, foster homes and adopters! Craft Sale - November, 2007. I have my favorite helper with me, again! On the August long weekend, 2007, The Alberta Kennel Club was gracious enough to give the Rescue Society a table at their annual dog show. 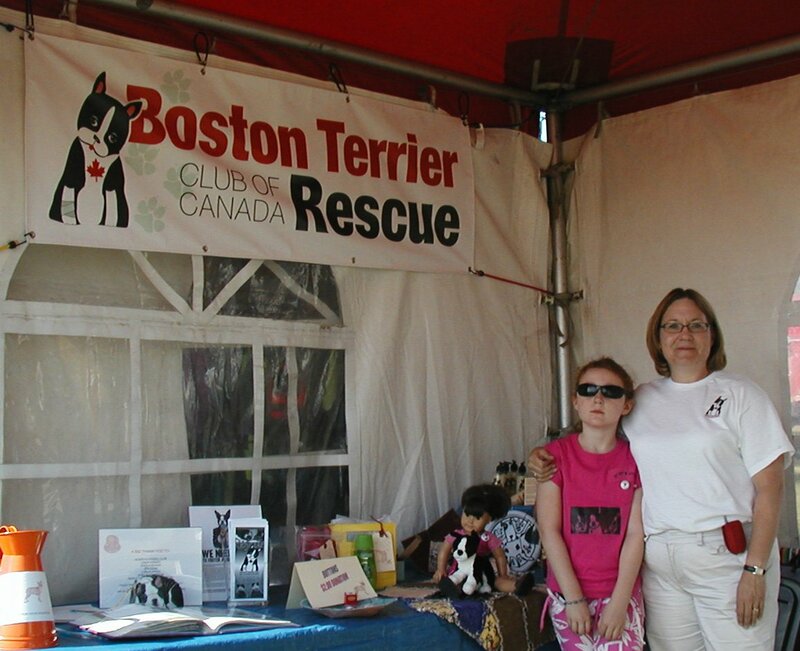 This is the largest outdoor dog show in Canada, and needless to say we were quite excited about the possibilites of spreading our Rescue message and obtaining donations. We had a great, sunny, hot weekend and thanks to Volunteers, Kirsten,Cam, Tracey, Tammy, Kelli, Kate, Marg, Shirley, and Bob we raised $515.00 for Rescue!! Check out our pics! These are the items we raffled for a "donation"
This is Chili and me. Chili came by to give me a dose of "Boston Love"! A pic of my "number one" volunteer, Kate!